A company is always changing. With our clear goal kept firmly in mind, our company has grown to the point where we are now. The change in our housestyle signals the completion of the renewal of our company. This new modern look will make it even easier for you to spot our product. What is our product? We cultivate large-bloomed cut Cymbidium. 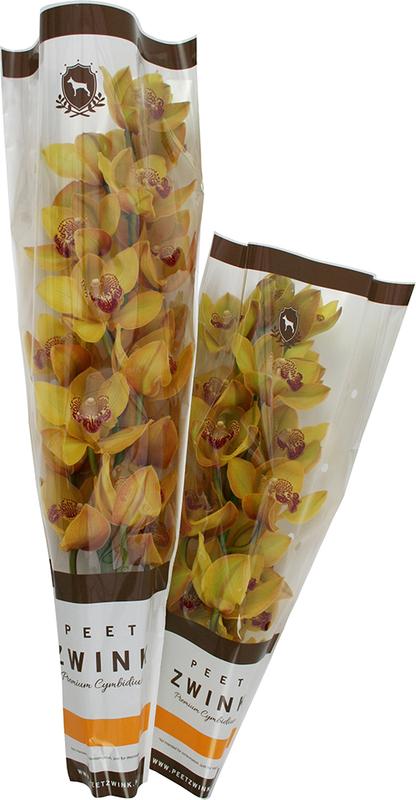 The Cymbidium is a flower suitable for many purposes. From classic to extremely modern, and for all festive occasions or to grace the table at home. A Cymbidium expresses exclusivity and originality. We have almost half a century’s experience with growing top-quality Cymbidium and have specialised in supplying varieties arranged by type. We deliver in our own packaging with a separate box for each colour, making our products highly recognisable, the . Quality, service and corporate social responsibility are priorities for us. We are always on the lookout for new varieties that can add something special to our assortment, new modern colours or flower shapes and/or improvements to the existing varieties. We always put quality before quantity. We are also cross-breeding Cymbidium ourselves, with the aim to be able to offer exclusive new varieties in the future. Our products are available from our exporters from November through April, and they can be found on all the continents, from east to west, and north to south.